This photograph has been scaled down; full resolution photograph is available here (739 by 596 pixels). Japanese Aircraft Carrier Kaga moves through heavy N.Pacific seas, towards Pearl Harbor, Hawaii Dec. 7,1941. 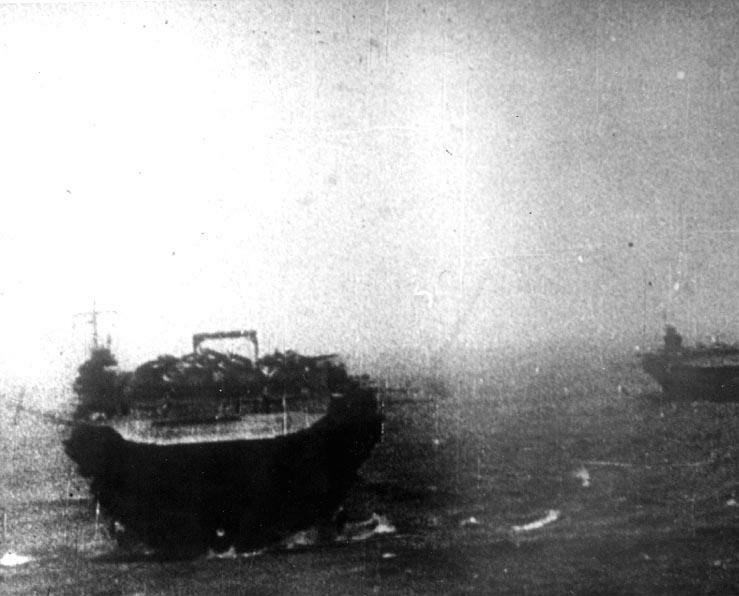 Carrier on right of Kaga is the Zuikaku, the original film was found on Kiska 1943. What is the horizontal device over the deck on the stern of Kaga? Kaga was equipped with a double-decker elevator. The upper piece "filled the gap" when the elevator was lowered. It doesn't show up in many photos.